We know that our star signs can tell us a lot about us. We use our sign to give us indications of our future, our past and our personality as a whole. Finding who or what we’re compatible with is something that our star sign can tell us. From romantic partners and friends, to career paths and meditation techniques, we can use our star sign to really get the most out of life. Many of us use crystals for meditation and healing purposes but plants and herbs can also be a great addition to any spiritual routine you have. Like crystals, different herbs work best for different star signs. 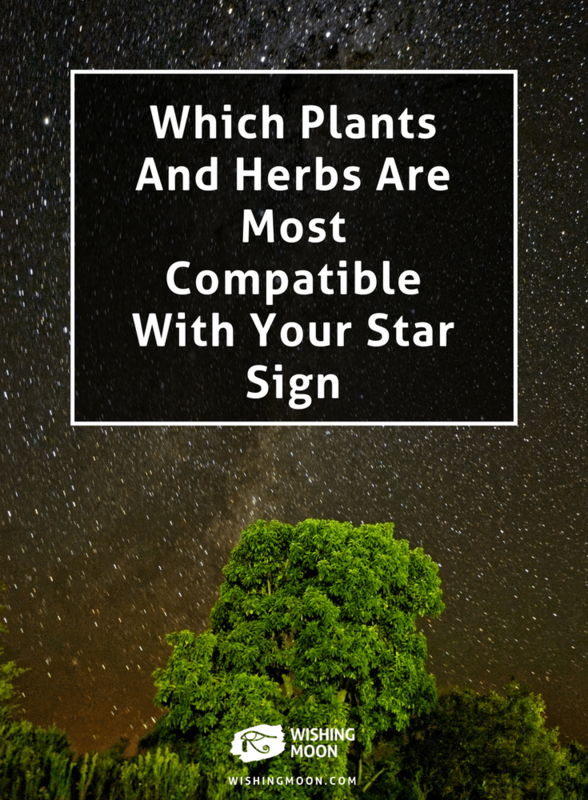 We’ve matched the plants and herbs we think work the best for each star sign and how they can aid you. So if you’ve never used plants or herbs before, you have a good place to start. Use your plants and herbs in your meditation & healing practices, but also just in your day to day life. You can make teas, use them in your cooking or simply grow them in your garden. By surrounding yourself with the specific plants and herbs that are compatible with your star sign, you’ll see positive changes in your life.